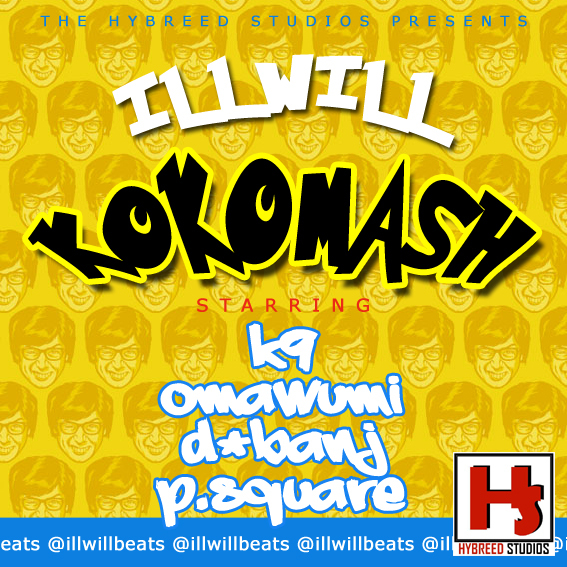 Creative Producer/Rapper/Hybreed Studios' General - ILLWILL is back on the scene with a Mash Up ( a blend of different quality music into another super hit). 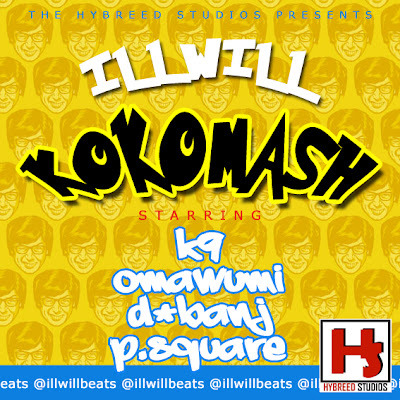 Here, he blends the Smashing Hit single from TRYBES RECORDS 2.0 artiste - K9, The Koko Master - D'banj, Super singer - Omawumi and the Sensational duo - P-Square.... He titled this "KOKOMASH" a blend of KOKO juices.... ENJOY!